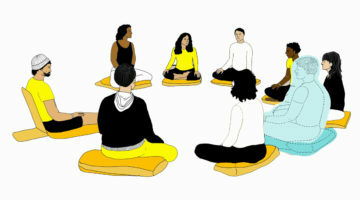 How does your meditation group handle conflict? I asked this question to followers of several Buddhist traditions. I was surprised by how many painful tales of woe there are out there: people who felt ostracized from groups they founded, struggles to overcome malicious gossip, disagreements about money, and irreconcilable interpersonal issues. The worst conflicts in these groups seemed to arise when they grew from a small close-knit group of friends to a much bigger and more diverse group. 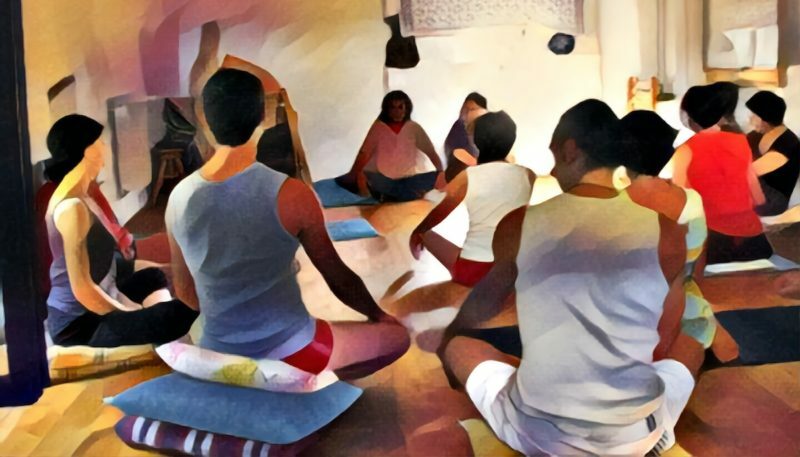 There were a few common themes among those that navigated these conflicts: commitment to transparency, a clearly documented conflict resolution process, and an emphasis on how conflict resolution relates to dharma practice. 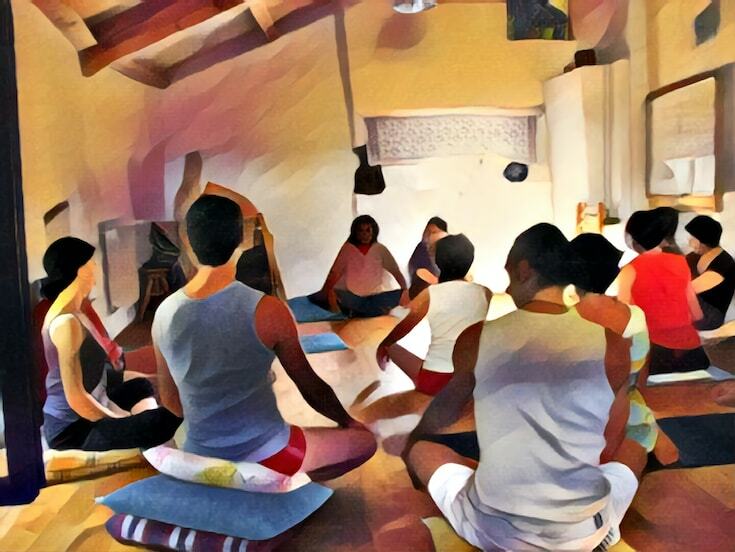 Historically, most of the rules governing sanghas (Buddhist communities) were developed to support a community that was by and large monastic and spent the majority of their waking hours engaged in practice, so it’s not surprising that we may need to look to other traditions for guidance. I spent a couple of decades working in Silicon Valley. During that time, I discovered a lot of essential conflict resolution principles. In one company, we quickly went from a small group of friends to three thousand employees. Our conflict-averse culture worked when we were just a few people, together 12-plus hours a day, conquering the tech world. But that culture didn’t scale as we grew; there could have been a dead rotting moose on the conference room table and everyone would be talking about the beautiful California sun we could see streaming in the window. But, once the meeting was over, all the gossip, second-guessing, and politics began. So, we brought in the best psychologists, human resources consultants, and deep thinkers on organizational dynamics, and we created a conflict resolution process. As reminders, we put slogans in every conference room and we made it a best practice for managers to hear feedback. and Conflict as an Opportunity for Practice. Transparency is a dedication to keeping everything in the open. At first, it may seem like you can prioritize harmony by simply avoiding conflict at all cost. In my experience, this just encourages gossip and lets things fester. Gossip is the enemy of transparency. People feel alienated and insecure when others are speaking about them in private. Lack of transparency goes hand in hand with irresponsible speech. If you won’t say it to someone’s face, maybe you shouldn’t say it. This is a corollary of transparency. How does your group make decisions and resolve conflict? Don’t wait until things are really hot to figure this one out. Well established communication protocols are a healthy way to explore differences of opinion. Group processes (such as how decisions are made and how conflicts are resolved) should be written down. Any expectations for the members of the group should be explained. 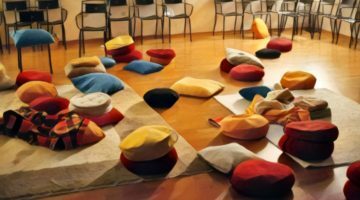 Since there are lots of things to discuss when practicing and studying the dharma, groups can engage in healthy communication paradigms even when there is nothing contentious to talk about. Two essential principles are: everyone gets a chance to speak (sometimes speaking can just be silence!) and no crosstalk. Personally, I recommend modeling the Native American Council Circle format, but there other really good models you can adopt. The point is that by using the system regularly, it will be more likely to happen naturally when things get hot. When is it useful to have conflict and disagreement? Disagreement is useful in early stages of decision-making, while harmful after a decision has been made. It’s the beginning of the end if decisions are constantly revisited, undermined, or privately disparaged. Our habit is to think of conflict as something to avoid or, if that isn’t possible, get rid of ASAP. But this constant avoidance is exactly what Buddhist meditation tries to address. Instead of simply falling prey to our usual habits, we can welcome conflict as a chance to practice. 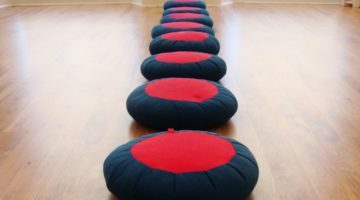 The single best guide for doing this is the lojong mind training practice based on Geshe Chekawa’s seven points of mind training. Geshe Chekawa, a twelfth-century meditation master, one day found a book opened to a page that read: “Give all profit and gain to others, take all loss and defeat on yourself.” Chekawa was so moved by this radical shift in perspective that he studied and practiced mind training for twelve years. He then summarized what he learned in 51 life-changing slogans. Can you give the person on the other side a victory? This consideration is so powerful that contemplating it for a few moments can immediately change how we engage with each other. Our habitual way of responding to conflict, especially if it is aimed at us, is to take sides and assign blame. But this slogan reminds us to take responsibility for our own habitual way of perceiving. We have all had the experience of judging a situation only to change our mind later. Perhaps we got new information or our values changed. Our attitude and concepts determine how we react to and experience what we live through. Buddhist teachings point out that it’s how strongly we regard our own importance that determines how much we suffer. By taking responsibility for our way of perceiving, we can be truly victorious over our ego. Even if something really isn’t our fault, instead of assigning blame we can just remember this is our opportunity to practice. This slogan is a good companion to the previous one, as it reminds us to consider the opportunity that lies before us. When someone’s behavior bothers us, it is a chance for us to really make progress along the path. These very people, who at first seem so annoying, are actually being kind by providing us this occasion for transformation. Instead of reacting with anger and frustration, consider these people with love and gratitude. Forgiving still has a subtle stain of the “I” who forgives, the source of all our real problems. Therefore, it is better is to let go of the whole drama; just forget about it. Don’t hold on to anything, that’s just going to be a karmic obstacle down the road and we already have enough of those!